OneDrive Error: “The cloud operation is not supported on a read-only volume” – Horizon I.T. Many of Horizon IT’s customers use cloud storage providers to share files within a smaller or remote office environment. The 1TB of storage that is supplied with Office 365 is a simple choice for many, you may as well use what you already have. What is often overlooked is that you should be backing up cloud stored files just as often and carefully as you would if files were on your own server. Whilst, in theory, good old Microsoft’s platform is 100% available, their resilience doesn’t extent to restoring files from over 30 / 93 days ago, depending on your package. What if a PC was infected with malware, it would encrypt OneDrive files, and they would be synced across the company. What about malicious or accidental mass deletion? So, for our desktop support customer we implement daily and monthly backups, typically to USB disk storage. 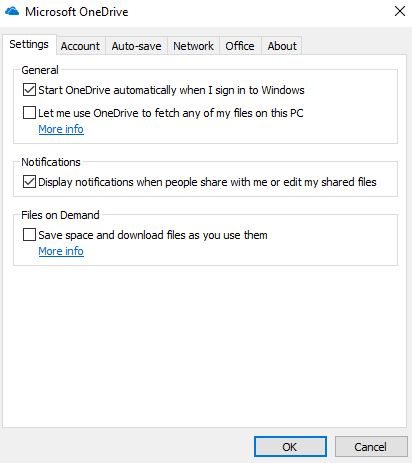 We tracked this back to a OneDrive update that had, without informing the user, activated the “Files On Demand” setting. Which basically only downloads the files to your PC when you request to open them. Personally, we feel the users should have been given the option to store locally, or activate Files On Demand. 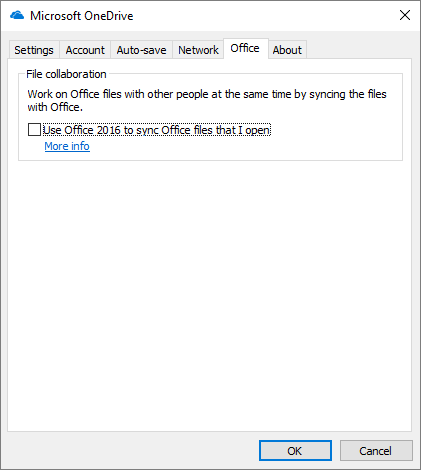 Now, while we are in the settings, take a moment to head over to the “Office” tab, and then turn off “Use Office 2016 to sync files that I open”. When programs like Word are syncing to OneDrive, they do a lovely thing called auto-save, which automatically overwrites the file on OneDrive, even when you’ve not pressed the save button. Now this becomes an issue when you are editing a document, to then Save As, because the original has already been overwritten, DOH! And that brings us full circle as to why you should have a strong backup schedule on your cloud storage files. If you need any assistance please contact Horizon IT. WhatsApp Unleashed – Try it on Windows and OS X!